For this task we had to complete this today. My task was to find an image of the planet & write a well known fact about the planet. This was a really hard activity because we only had 45 min to complete it. I had also got my friend Lillyana. She is the best I had also came 2nd for the WLJ thank you everyone for commenting on my blog especially Rachel. For this task we had to complete this today. This was a fun & really interesting presentation to do with our teachers & our leaders which were, Makayla & Justice. They were the best leaders I have ever had. The tasks we had to do was to eat space food that astronauts eat. The type of space food I ate was. 2. Dried Banana vs fresh Banana. 3. Marshmallows which was a fun & delicious game. For this task we had to complete it today or we would all stay in class to complete it. This task was all about telling you guys facts about space. I had written down only 8 facts about space because it seemed really hard for me. I had enjoyed this especially working with my friends Naomi, Paikea & Bethan as well as Jorelle. Thanks for reading & enjoy, The Guardians of the Galaxy. Walt: structure a narrative piece of writing. What has happened to earth? Leaving earth me & my friend Jorelle has been flying in space for several days searching for the right place or planet to live on. It was 4017 and the earth is dying. Looking around in space myself & Jorelle starts searching for the right planet to lie on. All we could see was a lot of planets. What are we going to do? We have now landed. Slowly walking around we had started to explore the planet. Walking around the planet myself & Jorelle spots a bunch of Aliens in the middle of nowhere. Slowly turning around all the Aliens start to chasing after us but we had nowhere to go, The spaceship was nowhere to be found. KA BOOM! “Jorelle what are we going to do? There are way too much Aliens crowding us & they are pretty big. “Hey there’s a spot we could hide. Bahhh Haaa Haaa you can run but you can’t hide. Running back to the spaceship I had just remembered that I had left Jorelle behind, We have nowhere to go but to run back to the spaceship. BOOM all the Aliens start to attack us. “Do not come near me. “Hey you thought I was going to hurt you “said the Aliens. We just wanted to help you. “Hey whatever you're just a big humongous lier. “Hey whatever you need where her o help. What I need is for you to get off this planet “PLEASE. OK, Hey we did it. We have found our new home or our new planet to live on. This Planet is just right. let’s get going shall we. “Hey who did this to our Spaceship. “Excuse me Giant Aliens is it alright if you could fix our Spaceship. 2 hours & 25 minutes later, The Spaceship is now completed. Earth people here we come. Finally settling in our new home everyone starts to gather up all their gear and create their new home, Luckily all the builders came. I couldn’t have done it without you Jorelle you are the best mate ever. This is the best & coolest planet I have ever been on, and it’s even better because the Giant Aliens are here to help. That’s pretty cool isn’t it. Now we can relax & watch a bit of Television. Who turned off the power?. For this task we had to complete this task as it was a really hard time. The writing was a Narrative story which is not a real story. The planets that are up the top is the Earth & my planet, Which is called Circulasen Planet. My buddy Jorelle who I had mentioned in the story named this planet. Thanks for reading & enjoy. For this task we had to do 3 activities with 6 amazing teachers. Today was one of my favourite school days as there was a lot of cool games, Yummy food & Fun activities. This was all about space. I had really enjoyed my day especially when I am with my friends & awesome teachers. Hinerangi Problem Solving Practice Term 3 Wk 1! Task Description: For this task we had to do questions like what we are learning for our new terms topic. But first of all I would like to say Welcome back to term 3 in 2017. Have you enjoyed your holidays so far? Well I have anyways my task was to complete this today tomorrow & even the whole week. But I thought I should just get it over & done with. This was a really hard task. This is my final blog post of term 2 holidays. I hope you enjoy the last day of school holidays. 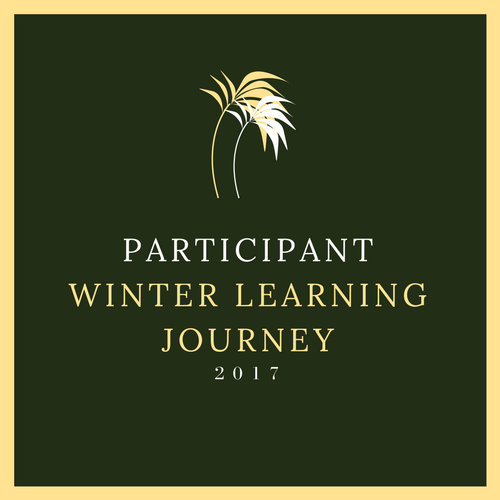 It was such an amazing holiday especially doing the Winter Learning Journey programme. I LOVED MY HOLIDAYS!!! I am missing my friends & my amazing teachers! See you all tomorrow. This is a game which is called How many animals can you name. This might seem hard it even seemed hard for my parents. If you can guess all the animals without cheating you are a winner. Please comment below or come up with all different kinds of cool games, Just like board games or other type of games. This also might seem to be boring but please just try your hardest and enjoy, Thanks and enjoy. PLEASE ENJOY MY PRESENTATION OR SHOULD I SAY MY GAME! WLJ Last Day Bonus Activity! Bonus Activity: On your blog, post a video or write a description about your week. What have you learned? What did you like about the trip? What didn’t you like? Was there anything that surprised you? To earn full points for this activity, you must talk about what you learned, what you liked and what you about your great kiwi road trip. During the holidays I have been learning so many things about New Zealand. It was an amazing journey with everyone especially Curious Kiwi & Rachel. The activity I enjoyed visiting was going to Rangitoto Island, KareKare beach & Tane Mahuta the god of the forest. It was an amazing adventure as well as going to Dargaville hotel. The activity I didn’t like was Day 4 which was swimming with the sharks, I had disliked this activity because I really hated seeing all the Whales like this and finding out what we are doing to kill our Native animals, I want to find out why us New Zealand fishermen s are killing our Native whales. What I liked & enjoyed about our great kiwi road trip was that we went to all sorts of places in New Zealand & I did actually find out heaps of information about New Zealand sports, Animals & many more cool things. The most coolest thing was that we all stuck together and we all found a way to help each other during the road trip, It was a great journey with Rachel, Curious Kiwi & many more cool people. I would like to say thank you to Rachel for setting this all up for everyone who wanted to be apart of this awesome programme. It was a great and awesome journey with you guys & my team mates, Thanks to everyone who participated in this programme, Rachel would of been proud of you. Thank you Rachel you are the best by setting this all up for us kids to do during the holidays I really enjoyed it. I will be still blogging in the holidays & probably today I will be posting some more post’s. The WLJ programme was the best, I would love to do the SLJ / Summer Learning Journey with you again. WLJ Day 7 Activity 2! Activity 2: After you have finished up in Taupo, it is time to hop back in the car and head for Rotorua – a town where will have the chance for some much needed rest and relaxation. In fact, you will visit the Tarawera Bush Pool – a geothermal hot pool that is located in the middle of a forest. The warm water in the pool comes from underneath the ground. After a few hours in the pool you feel really relaxed. On your blog, post a picture of yourself doing something relaxing. I find reading really relaxing. Here is a picture of me reading one of my favourite books! After a long soak in the natural hot pools, it is time to get back home. Your family and friends can’t wait to see you and they can’t wait to hear all about your adventures. Take a moment to think about what you have seen and done over the past week. I think that reading books & listening to music is something relaxing to do at home during the holidays. WLJ Day 7 Activity 1! What I would do to keep my neighbourhood clean is to pick up every piece of rubbish & throw it in the bin. I think that using useable rubbish would be a great idea to make something really cool & stunning, Just by using rubbish which could actually help your neighbours by making your neighbourhood tidy. My last suggestion of keeping New Zealand beautiful is to reduce all rubbish. WLJ Day 3 activity 1. You have now woken up after a long, comfortable sleep at your hotel in Dargaville. You’re ready for another day of adventuring! Today, you will drive around the North island and be introduced to amazing animals that live here in New Zealand. Some are native and some are non-native. Native animals are animals that normally live in New Zealand. Non-native animals are animals that were brought into New Zealand from another country. Examples of native New Zealand animals are the kakapo, the kiwi, the kea parrot, the yellow eyed penguin and the pekapeka bat. Activity 1: Curious Kiwi, a native New Zealand bird, is your tour guide for today. He is going to take you to visit the Otorohanga Kiwi House and Native Bird Park where many of his aunties and uncles currently live. The bird park is a five hour drive from Dargaville so you hit the road right after breakfast and arrive in Otorohanga at lunch time. As you walk through the birdhouse you learn about the work being done to conserve and protect the native birds of New Zealand. You decide to help out by ‘adopting’ a native animal. Visit the ‘Adopt a Critter page’ on the Otorohanga bird house website to choose one animal to adopt. On your blog, tell us the name of the animal that you chose and a little bit about them. What kind of animal are they? What do they eat? Where do they normally live? You can use Google to help you with your research. Today I have chosen to adopt the Brown kiwi because it is known as an endemic native bird to New Zealand, Which obviously means that it is found in certain place around New Zealand. All Brown kiwi's are normally found in the North Island. Brown Kiwi's like to eat cicada's, moths and also centipedes, They could also eat Circkets, Weta's & way more disgusting & Horrible creatures. Activity 2: After visiting Shag Point, you hop back in the van and drive all the way up the east coast of the south island until you reach the town of Picton. You get out of the van and onto the Interislander ferry. It travels back across the Cook Strait to Wellington. Wellington is the capital city of New Zealand and every winter the city hosts a huge Matariki festival to celebrate the Maori New Year. This year part of the festival is being held at Te Papa, a big museum in Wellington. Read about the Matariki festival at Te Papa. There are so many different things to see and do at the festival this year. On your blog, tell us about three of the events. You can choose any three events that you wish. 1st: My favourite event of celebrating Matariki was the guy forks, I had chosen this event because it is more likely one of the best item to celebrating Matariki,besides the seven sisters and the harvesting of the kai to share with family and friends and beginings. 2nd: Next favourite thing I love about Matariki are the lights because we get to see all different kind of things like, all sorts of shapes, Patterns, Designs & especially when you go through the Walk trough. 3rd: last but not least my final favourite thing about Matariki is seeing all different kinds of Maori haka's such as Ka Mate & many more different haka's. 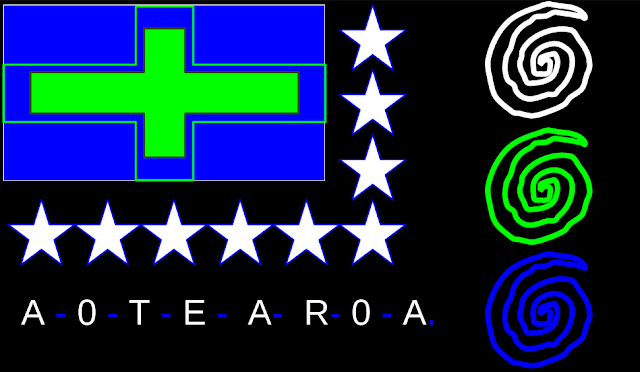 Waipuna-a-rangi, Wati, Waita, Tupu-a-nuku, Tupu-a-rangi, Uru-a-rangi & Matariki. (Best of the Best:) number #2 was the best haka of them all because it did look like a haka I have seen before at school & it sure did sound like it, I've also chosen this one because it was a haka that my Mum & Dad use to perform back when they were little kids. (Not so bad:) number #3. because I could feel the emotion that they were also feeling, I had also chosen this one because you can see how hard they have worked for putting on a game and not only a game a haka to go with it as well. (Not so good:) number #1. was my least favourite haka because they didn't try hard enough which is actually hard work. Of course why would they want to lose there energy if they are finishing or starting a game. How would you feel if you were to perform straight after or before a game? Did we bring some towels? I want to have a swim, Where are we going? Is New Zealand a big country, I am getting pretty hot I really want a swim, Here's a good spot I'm gonna go diving. As rain began to pour we need to get moving, The waka's getting wet where getting pretty closer, There's a small house I think we made it today. New Zealand here we come. We will call it our home. BOOOOOM! WLJ Day 5 Activity 2! Activity 2: After the adventure at The Lewis Pass Scenic Reserve, you are pretty happy to get back into the shuttle van and continue with your road trip. Over the next few hours you travel up and over the Southern Alps, arriving in the city of Christchurch to eat lunch. You have a delicious meal at a café downtown and then hop back into the van to travel to Twizel, a small town at the base of Aoraki-Mt Cook. Mt Cook is the largest mountain in New Zealand. It is also the mountain where Sir Edmund Hillary trained for his climb up Mt Everest – the tallest mountain in the world. Sir Edmund Hillary is very famous because he was the first person to ever reach the top of Mt Everest! Now it is your turn to learn about a famous New Zealander. Use Google to research one famous person from New Zealand and then create a DLO and post it on your blog. Be sure to include: 1. The name of the famous person, 2. Where they were born, 3. Why they are famous, and 4. Two other interesting facts about them. “Where are we? “What is this place? “Can anyone hear me? Slowly walking around the forest I had just found out that I was all alone in the forest. As I “SCREAMED HEEEEE LLLLLL PP PP there was no one who had answered me. My team & Curious Kiwi was nowhere to be found. All there was left was myself, a bag filled with food such as Goodies, Fruit, Can of Baked Beans & Spaghetti, Well as 2 soft blankets. Walking around the forest I had started to pick up long but fat chunks of sticks to build my shelter. As I sat there my eyes slowly closed and suddenly I fell asleep. On a very sunny day I totally had a feeling that someone would come and rescue me such as my teammates & Curious Kiwi. Clickery, Clackery, Clack something or someone was behind the bush. Slowly walking to the bush all I could hear was tiny whispers. BOOOO “We got you didn’t we huh. You got me well. Hey has anyone seen Curious Kiwi, I think you know where Curious Kiwi is don’t you, Turn around kid. OMG it’s you Curious Kiwi why didn’t you tell me you were here. At least we are all here together as one big happy family. So where are heading to next huh. Now it’s my turn, What would you do if you were all alone in a forest? Comment below…. WLJ Day 5 Bonus Activity! Bonus Activity: You and your tour group have enjoyed your day in the mountains but you’re ready for a change of scenery. You ask Curious Kiwi to take you to Central Otago, a region of the south island with lots of rolling hills and flat, brown grasslands. While in Central Otago, you decide to join the Otago Central Rail Trail – a 150 km long cycle trail. Curious Kiwi and I (Rachel) cycled the Rail Trail in April and we loved it! On your blog, tell us whether you would like to cycle the Otago Rail Trail one day. Does it sound like fun? Why or why not? If I had chance to do that Rachel I would love to do it not only by myself but with you & my family. Why? Well thanks for asking. The reason why I would go to the Otago Rail Trail is because so many people have been cycling there even some famous people have. It would be an amazing time at the Otago Rail Trail with my family, Friends & many more cool & friendly people. Who wouldn't LOVE to ride at Otago Rail Trail, Comment below. Activity 2: After a morning of learning about beached whales in Golden Bay, you and your group are driven to a nearby town, Nelson, to watch a special movie called ‘Whale rider.’ It is a famous movie about a young girl who was born and raised in New Zealand. 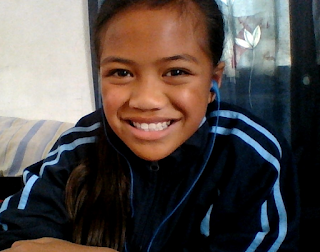 Watch the following movie trailers for Whale Rider: Whale Rider trailer #1 and Whale Rider Trailer #2 and then write a summary of the movie on your blog. What is it about? Be sure to also give the movie a rating out of 5 based on the trailer [1 = bad movie, 2 = okay movie, 3 = pretty good, 4 = good movie, 5 = excellent movie]. When ‘Whale Rider’ finishes, you and your tour group enjoy a delicious meal in downtown Nelson before heading back to your hotel. You need to go to bed early because you have to get up at 4:30 a.m. the next morning to travel back to Farewell Spit to see a group (pod) of Hector’s Dolphins. It is going to be an early morning! When ‘Whale Rider’ finishes, you and your tour group enjoy a delicious meal in downtown Nelson before heading back to your hotel. You need to go to bed early because you have to get up at 4:30 a.m. the next morning to travel back to Farewell Spit to see a group (pod) of Hector’s Dolphins. It is going to be an early morning! This is my Summary about Whale Rider! This movie is all about a young girl named Paikea she totally had no idea that she was the best warrior of them all, which includes the boys. Many years later her Koro started calling to the gods, He tried & tried & tried, Until the time had come for Paikea the gods had heard Paikea call to them. Paikea had found a Whale and hoped on it as the Whale started moving she held on tight. As it says that people with legend Paikea's blood could only ride them. One by one all the Whales took off without leaving Paikea behind, It was like she was the Queen but she was the hero. All the Whales went above & way below the sea but Paikea never got scared or letted go of the Whale she just stayed on the Whale, She wasn't afraid of dying at all but unfortunetly..., She had ended up in hospital, But happily her Koro had just found out that she was the true Maori Warrior. Activity 1: When you arrive in the south island, Curious Kiwi rents a shuttle van and drives your group from Picton (the town where the ferry dropped you off) to a beautiful beach on the opposite side of the island. The beach area is called Golden Bay and, at one end of the bay, is a stunning area called Farewell Spit. Farewell Spit has been in the news recently as a number of whales accidentally swam into the spit and became stuck on the beach. They were unable to swim back to the ocean because the water was too shallow. Many local people tried to save the ‘beached’ whales. Please follow this Farewell Spit link to learn more about what happened. On your blog, describe what the local people did to try and save the beached whales. Why are there so many people doing this to our native animals? Why can't it stop! is there any reason for you to hurt them, because of what people have been doing nearly all of our native sea creatures have been dying because of what has happened. How is it meant to help out with saving our Native animals? Can't all local people band fishermen s going to the Farewell Spit, If I was one of the local people I would band all fishermen s from going to the beach so that all our sea animals can live or that is left. How are people helping? As the Whales laid there, so many people helped them get back in the water instead of letting them die unlike all the fishermen s. They would of gotten heaps of buckets filled with water and spreader it on the Whale. I think that this is a WAY WAY better idea then letting them die on top of the sand. fishermen s should be dead or band from the Farewell Spit. Bonus Activity: Hector’s dolphins are a very special native animal found only in New Zealand. They are the smallest dolphin in the world measuring 1.5 metres long and they are quite rare. Sadly, many Hector’s dolphins are killed every year when they get caught in large fishing nets and can’t escape. Some people have argued that fishermen shouldn’t be allowed to fish in Farewell Spit in order to protect the dolphins living there. What do you think? On your blog, tell us whether you think that fishing in Farewell Spit should be banned (stopped). Is there a reason for all fishermen to kill our native animals?. I think that there is totally no reason for us New Zealanders to kill our Native animals especially our unharmed Whales. I recommend all fishermen to be band from the Farewell Spit as we all know that they were the ones throwing huge fishing nets at our Native Whales. Stop killing our Native Whales New Zealand fishermen’s. Stop killing our Whales. By the way I will be posting the Activities on my blog later on today or tomorrow. STOP KILLING OUR NATIVE ANIMALS!!! This is my book that I have just finished today. The story was all about Andy & his friend Terry living in a Tree but it wasn't just a normal Tree house it was a 13 - Storey Tree house. There lived Mermaids, Sharks a See through Pool, cars, Trains, Animals & many more. I have really enjoyed this book but the most weirdest thing was that in the end there was a Gorilla who destroyed the Tree House and strangely Santa & his reindeer's came out flying on his slade when it wasn't even Christmas it was about 1-2 weeks until it was Christmas. I hope you are enjoying your holidays so far there is only a week and 4 days to go. Make your holidays last. Bonus Activity: A really cool new website called Wild Eyes has recently been launched in New Zealand. It is a programme for students who want to complete fun activities (called ‘missions’), take pictures and post them on the Wild Eyes site. For this bonus activity, go to the Wild Eyes site and complete the ‘Giant Moa Discovery’ mission. To earn full points you must post a picture of your Moa on the Wild Eyes website and on your personal blog site. The Wild Eyes team and I can’t wait to see what you create! Activity 2: After your great visit to the Otorohanga bird house it is time to hop back onto the bus and head towards the Hawke’s Bay – your resting place for the evening. Hawke’s Bay is a beautiful region of New Zealand. It is known for its wineries and gorgeous scenery. When you arrive in Napier, the largest city in the region, you go for a walk through Waitangi Regional Park and notice that many of the leaves on the native trees have been damaged. Curious Kiwi tells you that they were damaged by possums, non-native predators, from Australia. People in New Zealand are working hard to trap and kill these predators. Their goal is to remove all of the possums (and other predators) by 2050. Go to the ‘Predator Free 2050 website’ to read more about their work. 1. I think that we should have all animal predators killed because they have been damaging New Zealand. 2. We should let these predators die or just put them back to where they belong in Australia. 3. Australian Possums should have never came to New Zealand they should be dead today or in Australia. 4. We should kill Australian possums because they cause a lot of damage and could be able to kill us humans. 5. All Animal predators should be dead especially Australian Possums. During the School Holidays I will be reading all sorts of different kinds of books but today I will be reading The 13 - Storey Treehouse. This story is a Narrative & Fiction story. So far many weird & crazy things has happened in this book. The authors to this Narrative & Fiction book is Andy Griffiths & Illustrated by Terry Denton. 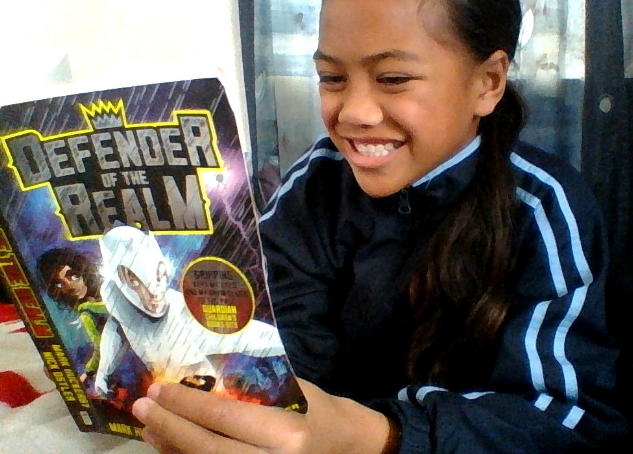 Reading stories that I enjoy reading is easier for me to learn especially the Important parts for my reading test’s. If you are reading this, I hope you are reading at home and that you learn so much about what you are reading. Hope that you understand and talk about what you are reading as well as to post all the stories that you read at home on your blog. Hinerangi Winter Learning Journey by land & Sea!!! Well, the time has now come! School’s out for the holidays and your tour of New Zealand is about to begin. I hope that you are ready and excited! Curious Kiwi certainly is – he can’t wait to start the Great Kiwi Road Trip! Before you all hit the road, let’s take a minute to review some key facts about New Zealand. Activity 1: Go to the Tourism New Zealand website and click on the ‘Facts - New Zealand People’ tab. Read about the people of New Zealand and then choose three interesting facts to post on your blog. The facts must be written in your own words. Do not simply copy and paste the facts from the website. Fact - 1: There is approximately 69% of the European descent, 14.6% of indigenous Maori people, 9.2% of Asian & Approximately no Maori Pacific islanders around or in New Zealand. Fact - 2: The most popular spectator sport here in New Zealand is Rugby Football. All Blacks have been winning the Rugby World cup. Fact - 3: There are over 15% of New Zealanders that own there own Boat. My 1st favourite one was looking at the dinosaurs in Auckland Museum. 2nd: I have just found out that Mission Bay is also known as an inner City which is near Auckland City. 3rd: The Native Maori or known as New Zealand ancestors sailed here about 1.000 years ago. 4th: I enjoyed going to Rainbows end. 5th: Kids loved to visit the Auckland Zoo as well as discovering all different Animals around the Auckland Zoo. To earn full points you must describe the flag, in words, below the picture. Please tell us what is on the flag and what inspired your design. This is my Aotearoa flag. Did you notice that every colour on this flag actually represents something. The White colour represents the long white cloud, The Green colour represents the land including Grass, Tree's, & many more land things. Last of all the Blue represents the water / Sea. The background of the black represents all sorts of things like the All Blacks, Maori & many more things. This whole thing here is my bonus activity.